Where in the Quad Cities Should Flat Stanley Visit? Klinger's nephew sent him Flat Stanley. If you're unfamiliar, Flat Stanley is a project that school children do. They send Flat Stanley out into the world in an attempt to gather photos and information from the different places he visits. My name is Flat Stanley and Brady sent me to visit you from Winona State University Children's Center. Please take me on an adventure around the city you live in and take pictures! Fill this envelope with brochures, postcards, pictures, etc. about the place in which you live, and mail it back. When returned, they will be able to share with the WSU School-Agers about your area of the country/world. I want to help my friends learn more about places and people in different areas of the country and world! Thank you so much for helping me out! 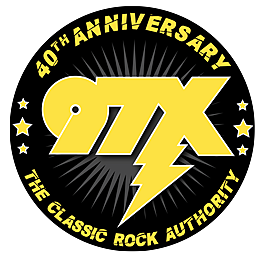 We started Flat Stanley's visit to the QCA in the 97X Studio of the Rock 'N' Roll Mansion. So help us out, where else should we send Stanley? Have a suggestion as to where in the Quad Cities Flat Stanley should visit? Leave a comment below or email us at dorks@2dorks.com.